This is by no means an exhaustive list of what we can help with. 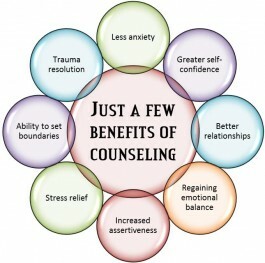 Counselling is one of the main professional therapy services we offer at Mind2Body. The issues listed above are just some examples of what we have helped others in the Bristol and Bath area with, as well as beyond, and we can offer the same and even more to you. From individual sessions to couples counselling and more, we can work with you to see positive changes. Coping with negative feelings and difficult events can be hard, but there is always something you can do to improve your quality of life with the right help. If you are considering the possibility of counselling you may feel unsure about whether it’s right for you, which we fully understand. This is why we offer 30-minute free counselling assessments to help you make the decision. Contact us if you would like to know more about this. Counselling is an opportunity for you to improve your mental health and move past issues that are holding you back with the help of a friendly professional in a completely confidential setting. A trained and qualified counsellor will deliver your sessions and find the best possible way to help you focus on making effective, positive changes. Whether you need guidance in the short or long term with any issues at all you may be facing in your personal or professional life, we can help you on an individual basis or with others. At our Bristol practice we often work with groups, families and children, as well as offering Individual and couples therapy to help with relationships. Your counsellor will always take an empathetic and understanding approach, listening and working with you to improve your overall wellbeing. For block bookings and benefits claimants we can offer discounted rates. To book an appointment, learn more details or to discuss prices for families, groups and more, please don’t hesitate to get in touch and speak to us about how we can help. Simply call on 07720667119 or send us a message here.